We developed a model called The Art of Good Fellowship – Paying it Forward One Neighbor at a Time. It’s a hybrid of the Pay It Forward and the Good Neighboring movements. OCMV works with its agency partners to meet people where they are at and works with individuals and families to achieve a dream or overcome a temporary barrier in order to regain financial sustainability, self-confidence, and/or a healthy lifestyle. Based on the findings of really smart people, good acts – like acts of kindness, generosity, and cooperation – are contagious. 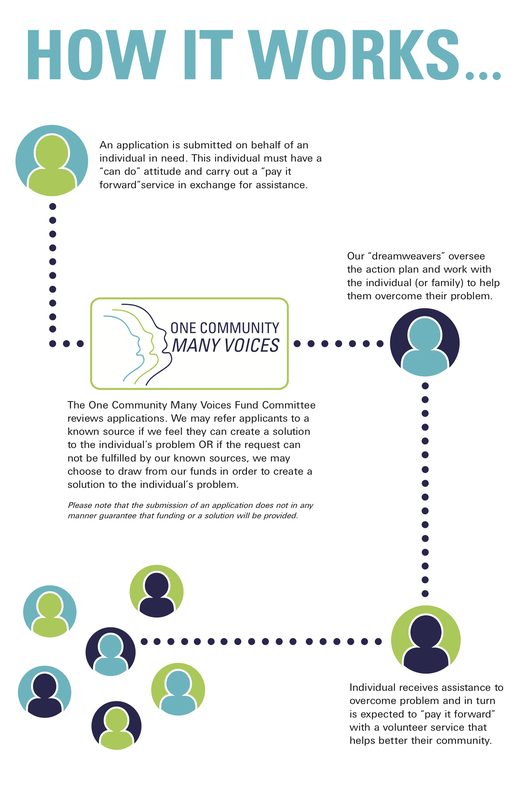 * OCMV believes many individual and community issues can be resolved by focusing on aiding one neighbor at a time. *Researchers from the University of California-San Diego and Harvard University provided laboratory evidence that cooperative behavior is contagious in Proceedings of the National Academy of Sciences: March 2010.